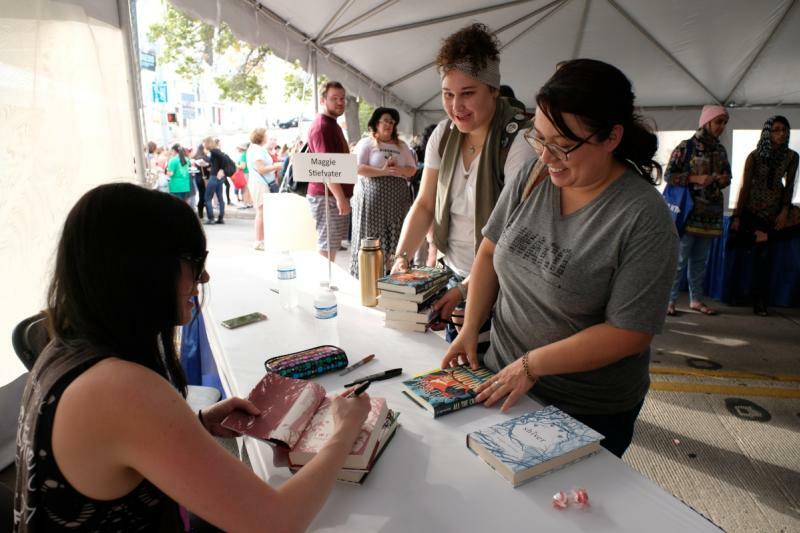 The annual Texas Book Festival takes place October 27-28, 2018, in and around the Texas State Capitol. Free and open to the public, the 23rd annual festival will feature more than 250+ nationally and critically recognized adult and children’s authors, 100+ exhibitors, local food trucks, family activities and countless opportunities to meet authors and fellow book lovers. The festival has something for everyone! “Kids on Congress” is the place at the festival for families. So much for tots or teens to see and do – story times with famous picture book authors, hands-on craft activities and back-to-back panels with the most popular middle grade and YA authors in the country. Be sure to pick up a Kids Passport in the Children’s Activity Tent, get it stamped at the various activities and turn back in for a free tiny scoop of Amy’s Ice Creams. For literary foodies, the Central Market Cooking Tent showcases phenomenal chefs with cooking demonstrations from their newest cookbooks. Texas Book Festival 2017. Credit Bob Daemmrich Photography. Nerdy night owls won’t want to miss Lit Crawl from 7-10 pm on Saturday, October 27. An evening of literary game shows, poetry readings and live music in bars, coffee shops, and art galleries across East Austin. Lit Crawl is free for all attendees, and highlights a lineup of Festival authors and local non-profits and independent publishers. Meet your favorite authors, discover new authors, and check out the exciting Texas literary scene! For more information on the Texas Book Festival, please visit www.texasbookfestival.org and follow along on Facebook, Twitter and Instagram @texasbookfest.